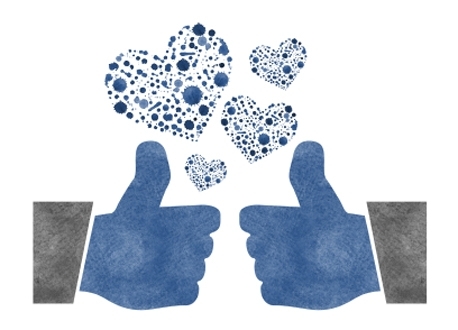 Cambridge University’s work with Microsoft to tie Facebook Likes to personal attributes could be a pivotal moment for the Smart Data movement, says Colin Strong. Cambridge University and the Microsoft Research Centre have discovered that Facebook Likes can be used to predict a variety of personal attributes including religion, politics, race and sexual orientation. Their research involved 58,000 Facebook users in the US who completed a psychometric questionnaire through the Facebook app ‘myPersonality’. Those taking the test were asked to provide the researchers with access to their Facebook data. This gave the team an immensely rich data source to work with, allowing them to link the results of the personality test and demographic profiles with a person’s Facebook Likes. The team were able to create some highly predictive models using these Likes. For example, they were able to identify male sexuality and sort African-Americans from Caucasian Americans, Christians from Muslims and Republicans from Democrats. There were also some pretty impressive figures for predicting relationship status and substance abuse. And not all the Likes that were used for modelling necessarily explicitly referenced the outcomes. So, for example, we would not have anticipated that liking curly fries correlated with high intelligence, or that people who liked The Dark Knight movie tend to be less sociable. In fact, there were relatively few obvious Likes to work with: fewer than five per cent of gay Facebook users in the study had ‘liked’ gay marriage, for instance. So what are the commercial implications of these findings? Well, the more we know about a consumer the better we are able to design products and services to meet their needs. And the human attributes (personality and demographics) identified in this project have generally been shown to be predictive of consumer behaviour. So by identifying personality attributes an online movie service, for example, could potentially use it to optimise recommendations, or an online grocery store could identify appropriate promotions. This marks quite a shift in the way that big data analysis is currently conducted, much of which is a-theoretical. The current argument is that there is no need for an understanding of the consumer when we can simply use predictive analytics to identify what someone will do in the future. If we know that people who buy muesli are also likely to buy pesto sauce and Pop Tarts then do we need to know anything more? However the Cambridge Facebook research demonstrates how a deeper understanding of the consumer is hugely valuable. If we can apply social science to big data, as this research team has effectively done, then we start generating much more profound insights into consumer behaviour. We can start exploring how personality types and demographics influence receptiveness to advertising, shopping activity, website preferences and so on. Deriving human characteristics from data trails allows us to work accurately (as this study demonstrated), in real time and unobtrusively. Also, for the first time, it allows brands to understand the specifics of how to optimise the relationships between human characteristics and consumer activity for their own unique proposition. And this is surely just the start of these sorts of analytics. At GfK, for example, we are currently exploring the potential to develop typologies of browsing behaviour to see if we can link this – as the Cambridge study has done – to personality types, demographic variables or situational factors such as shopping missions. Of course there are privacy implications that need to be considered. Much of the discussion surrounding the Cambridge research focussed on this, with some privacy campaigners suggesting we need to “fundamentally re-think how much data we are voluntarily sharing”. These consumer concerns should not be under-estimated. Transparency is key, with brands and the analytics industry needing to put a convincing case for these approaches. The Cambridge study is at the vanguard of a second generation of big data analytics. Let’s call it Smart Data. These approaches focus much more clearly on the ‘why’ and not just the ‘what’ of consumer behaviour. By identifying the personality types that determine purchase behaviour, we can understand why muesli lovers buy pesto for example. And we can then use this as a stepping stone to explore other issues, such as the way in which personality types are related to loyalty or are receptive to advertising. It’s a much more complex, intelligent, joined-up and strategic approach. And this is just the beginning; the entire landscape of psychology and social science more generally is there for us to explore in this context, to drive the big data agenda. As such, the Cambridge research represents a significant point in time for Smart Data. Really interesting article. As a consumer it's amazing to learn how 'liking' things on Facebook can give someone such insight into your psychographic characteristics.